Published 1 April 2017 / by Rens Hollanders / 1 Comment on MDT – WinPEshl.ini what does it do? 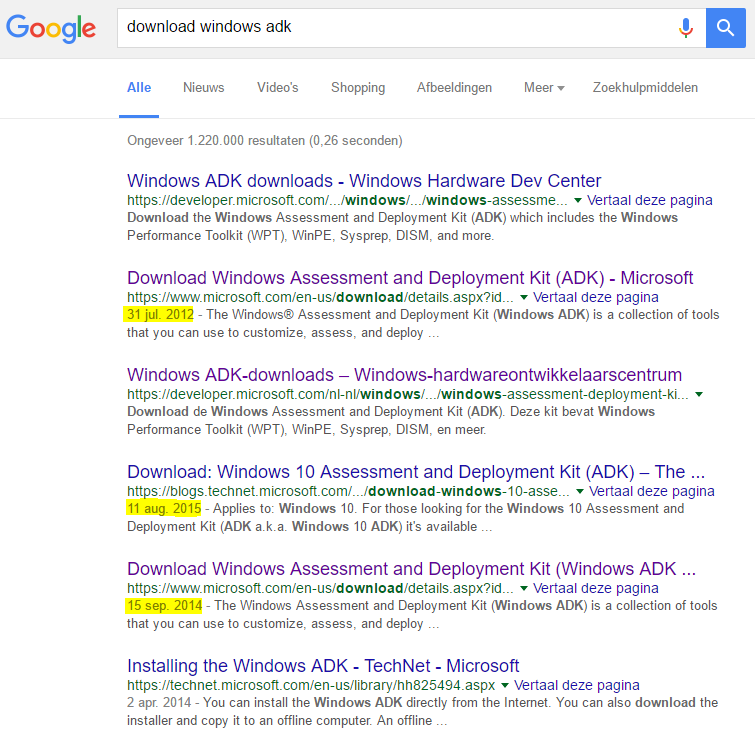 Published 1 December 2016 / by Rens Hollanders / 27 Comments on Download Windows ADK: The numerous versions of Microsoft Windows ADK (Assessment and Planning Toolkit)..and where to find them! …You get my point right? As a core prerequisite for Microsoft’s Deployment Toolkit Windows Automated Installation Kit (WAIK) successor: Assessment and Deployment Kit (ADK), count’s numerous versions out there wandering the interwebs. As I’m always looking for the latest version available whenever I perform a Microsoft Deployment Toolkit implementation, I thought it would be nice to create and maintain a list of the most recent versions of ADK out there. I will continue to expand this list as new versions come available. If you have any missing info like download links of the versions listed above. Please do not hesitate to contact me! Hi my friends, very very long time no see. I sincerely apologize for my period of absence, however this is partially due to lack of new content to write, which is caused by a period of not working with deployment tools. In previous blog posts, I’ve set out some default settings to configure MDT with, such as the CustomSettings.ini and Bootstrap.ini, and then there is this script which configures your MDT environment automatically with PowerShell. The IP helper address needs to be configured, when your DHCP and WDS server are not on the same subnet. This prevents the boot image from being loaded into and over the memory of the network device, but point’s directly to the WDS server. So next time you’re going to implement MDT, keep in mind some (preferably all) of the mentioned requirements, and hopefully this will make life again much easier. ~Things not working, privileges wrong? Don’t hesitate to let me know! I still very often receive questions about how to deploy Office 365 the best way. In a blog I’ve written february 2014 I explain how to deploy Office 365 through MDT. At the time the installer of Office 365 didn’t wait untill Office 365 was fully installed, instead the installer was initiated and the MDT task sequence proceeded to continue executing other tasks with the impact as a result that if the machine was being rebooted due to a task in the task sequence the installation of Office 365 failed. Very recently I’ve downloaded the latest version of Office 365 ProPlus Retail, version: 15.0.4745.1001 which I’ve noticed waits during installation until the installation of Office 365 is complete. This will make sure Office 365 is installed directly from your deploymentshare, without copying files to the local computer and having to clean up those files later.